If gardening is your passion, and you don’t have the option to grow veggies and herbs in a backyard garden, you will be pleased to know that there is still a way to do it and enjoy it fully. People have been doing it for years, and if you are still in the dark, please let me enlighten you – I am talking about balcony gardens. Now, although this can simplify things as balcony gardens are usually smaller and closer at hand, not everyone has the time to keep an eye on their plants daily. Luckily, there is a solution for that too. I am talking about the self-watering planters which are a revolutionary update to the traditional ones. Read on for more details about the differences and similarities between the two and how they work. First of all, as already mentioned, not everyone has the luxury of time on their hands. That is when self-watering planters save the day. 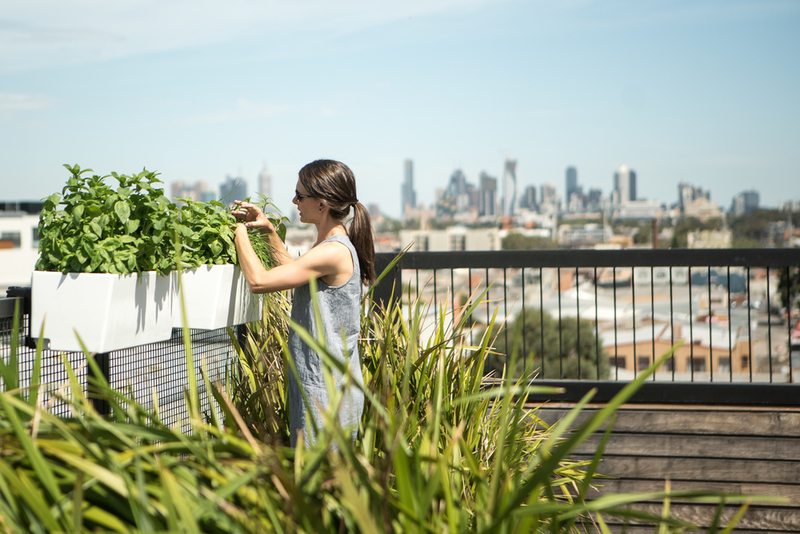 One of the biggest differences between traditional and self-watering planters is that with the latter you have the ability to give your veggies or herbs constant and uninterrupted access to water. Self-watering containers function with the help of a reservoir system. There is a water tank at the bottom of the planter, which once filled can provide a constant level of moisture, and the water is directly delivered to the roots. It is important to know that both traditional and self-watering planters can be placed in various positions. This flexibility provides more space and opens up the opportunity for you to be more creative. 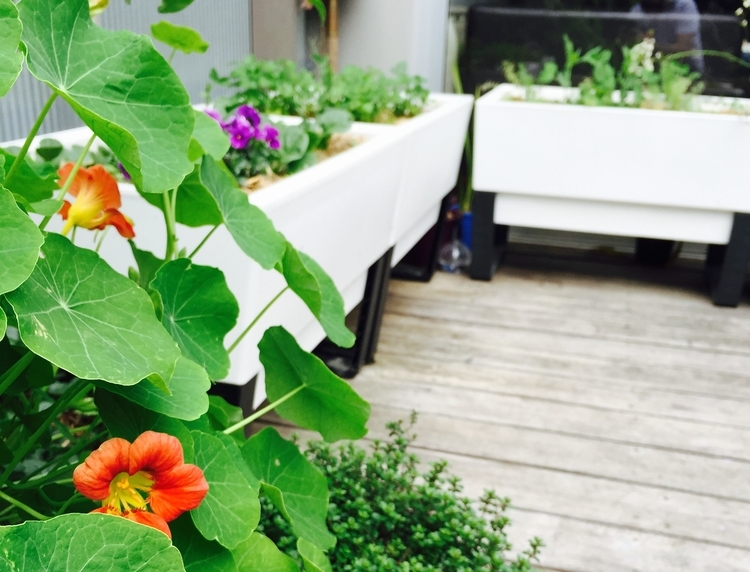 One option that has proven to be both convenient and appealing are over balcony planters. To achieve this all you need to do is simply hang them over your balcony and let them make your view and time spent outside greener and more enjoyable. Over balcony planters are suitable for growing almost any type of herb. Regardless of whether you decide to plant herbs or veggies, you will certainly want them to be as healthy as can be. Well, in this aspect, self-watering planters once more have the upper hand. Tomatoes, peppers, beans, or herbs like basil, fennel, cilantro or parsley thrive better when they are able to get the maximum amount of nutrients. With traditional planters, the excess water drains out of the holes at the bottom of the container. Once this happens, together with the water, what also goes down there are plenty of nutrients. Contrary to that, with self-watering planters, this can be avoided because of the closed system that keeps the nutrients within the container.